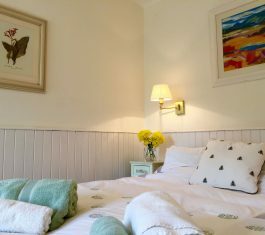 Availability and Booking for St. Andrews, Elie and Outfield Farm properties. 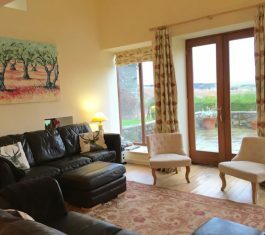 Located in the hills between Abernyte and Kinnaird, 20 minutes by car from Dundee or Perth city centres. 40 minutes from St. Andrews, an hour north of Edinburgh and 1.5 hours east of Glasgow. 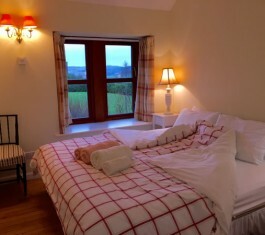 Each cottage has a great view with an open fire and we supply plenty of wood to fuel them. We try to be as eco as possible, with geothermal heating, reclaimed wooden flooring, a small wind turbine, glass and general recycling. Life is slow paced – light your hot tub or sauna and relax as it comes up to temperature – don’t forget to top up the wood! 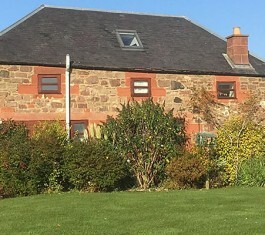 This property is the cottages of Pitmiddle and Outfield rented out as one whole house with their internal interconnecting door unlocked and open.